A panoramic view of the final stretch of the River Laggan before it flows into Laggan Bay. The panorama distorts the perspective a bit, in reality the river is fairly straight in this stretch. A view over the River Laggan as it flows towards the Big Strand to run into Laggan Bay. 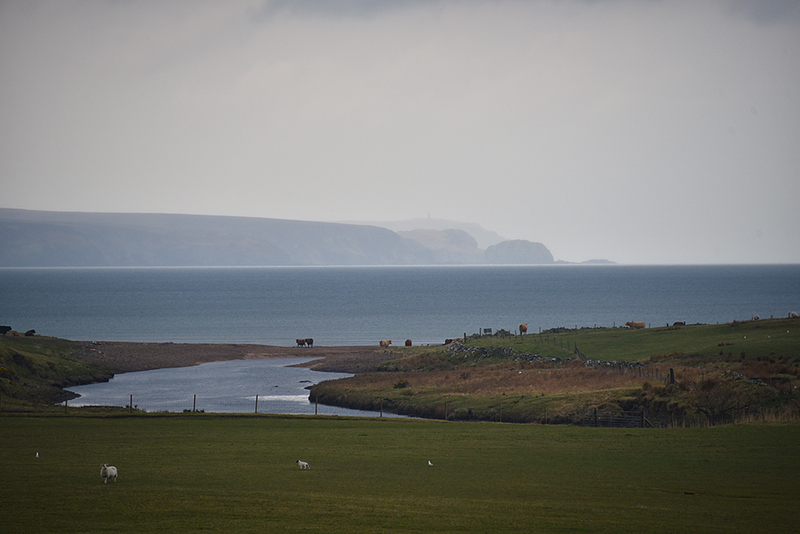 The Oa in the background, if you look closely you can make out the Mull of Oa with the American Monument in the mist. Taken during an Islay walking week walk to Laggan Point in April 2016. 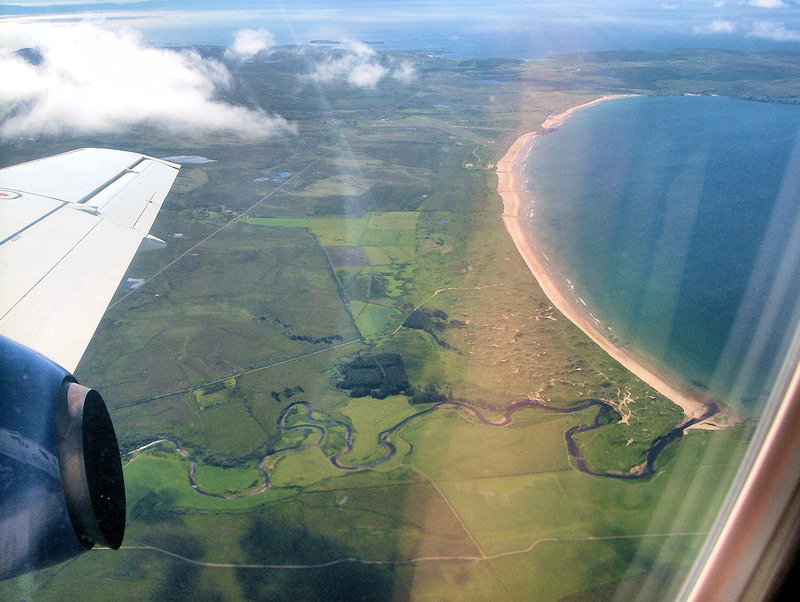 A view from the plane leaving Islay, taken by my late mother at the end of her last Islay visit. The view takes in the River Laggan in the foreground, behind it the Big Strand stretches out along Laggan Bay to Kintra. Port Ellen in the distance.